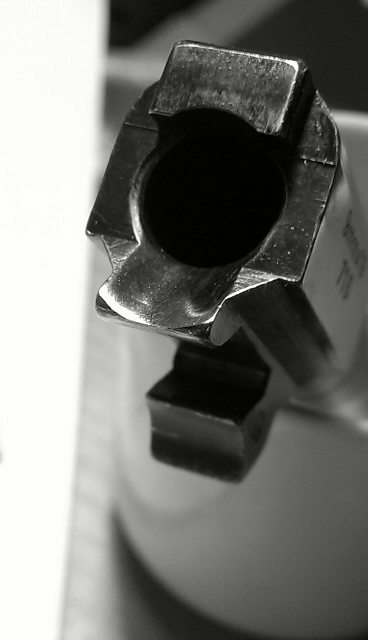 SIGforum.com Main Page SIG Pistols P6 Feeding Problems ? Since buying my only P6 years ago I've only used it with round nose bullets. Shoots just fine, but I've read several times that the P6 has problems cycling hollow points or truncated bullets. 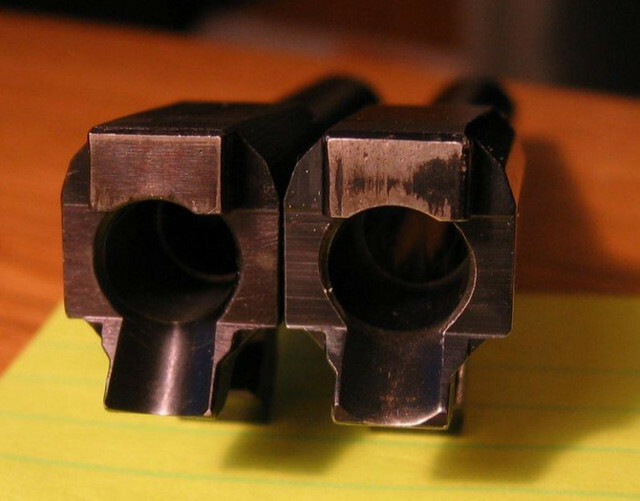 I will try some different hollow points next time out, but wanted input from those of you that shoot P6's. I am thinking about using it more in a self defense/carry roll. Well know problem with the P6. Most of the time people have the ramp polished. I have a P225 and have no problems with any ammo. The barrel ramp angle was changed in 1988 (?) to feed HPs. There are companies that will help your P6 barrel feed HPs. 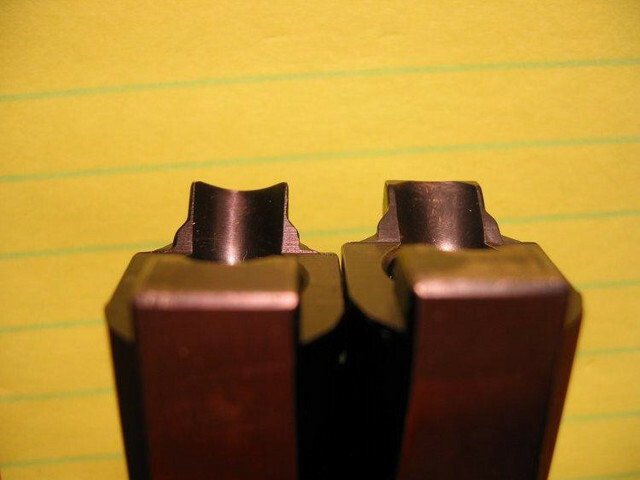 Try an older-style hollowpoint with a rounded profile and narrow cavity like the Federal 9BP. try out the ammo with your pistol. I have a '81 P6 (and a '83 P225) with the older style feed ramp and they will both eat whatever I feed it. I have a '79 P6 and an old ('84?) P225 and they have fed fired and extracted everything that I have tried in them. I also had a '79 P6 but mine would only feed JHPs about 50% of the time and I had tried Gold Dots & Golden Speers; occasionally had issues with FMJ. I ended up sending the barrel to Customized Creationz and they ended up changing the ramp angle (this was about 7 yrs ago so I don't know if they still do this work). Mine was a beater so having the barrel worked on wasn't a big deal but if you don't want the barrel modified, you might be better off buying a newer barrel. We checked our drawings and found out that we change the angle of the barrel ramp on the 14th of June 1989 from 52 degrees to 54 degrees. Here's my p6 feed ramp. I chose to put in a new p225 barrel. Boy, those are hard to come by now. Thanks, y'all. Just the kind of feedback I needed. Mine was manufactured in 1980. Like I said, my next outing will be with some hollow points. Likewise, I had a '83 P6 that would feed anything I threw at it. I can't in confidence say that the previous owners didn't have anything to do with that outcome, though, because it came into my possession in late 2010. Well, it took me while, but I did some shooting with hollow points and FMJ's today. I shot three mags worth of 147gr Golden Saber HP's without issue. Shoots pretty close to point of aim. I also shot some Fiocchi 115gr, FMJ, that Academy has on sale. Functioned fine , but prints 5 or 6 inches low at 25 yards and my groups were not very good. I then shot some Winchester White Box 147gr FMJ's that shoot right to point of aim at 25 yards and this P6 absolutely loves them. Groups were almost half the size of the Fiocchi ammo groups. Quick Reply to: P6 Feeding Problems ?